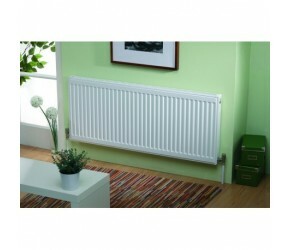 Kartell design and manufacture a fantastic range of Designer Radiators, which are perfect for any size and style home. Selling equally well into contemporary and traditional properties, we have over one thousand Kartell Radiators in stock, ready to ship at excellent prices. The range includes everything from compact radiators, perfect for small rooms and cloakrooms - right across to luxury designer radiators finished in materials such as brushed stainless steel and chrome. As always, if you have any questions about this range - please do just get in touch and we will be happy to help. Towel Rails are an essential part of any bathroom, as well as keeping your towels warm and dry - they also heat the bathroom effectively, whilst looking brilliant. Available in a massive range of styles, and finishes - Kartell Towel Rails fit into both contemporary and traditional bathrooms equally well. The range encompasses everything from budget towel rails, right across to more luxury towel rails in a stunning array of designs and finishes, the most popular of which being chrome! If you have any questions about our range of Kartell Towel Rails, please do just get in touch and we will be more than happy to answer any questions that you may have. To complement the Kartell range of Radiators & Bathroom Furniture, Kartell design and manufacture a range of Taps perfect for both kitchens and bathrooms. This range of taps is incredibly diverse, with the range included mixer taps, as well as tap pairs. For those looking for a more specialist tap, there’s also Bath Shower Mixer Taps complete with Shower Handsets. Chrome taps dominate the range, with contemporary designs being readily available. As always, if you have any questions about this range of Kartell Taps - please do just get in touch and we will be more than happy to help. 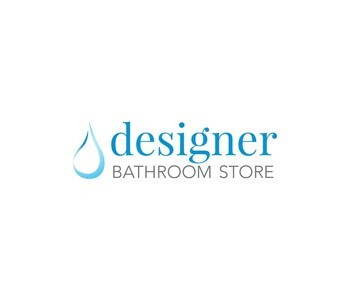 At Designer Bathroom Store, we are very proud to work closely with Kartell UK - one of Europe’s biggest and best, designers and manufacturers of Bathroom Goods & Furniture. As part of this range, we supply almost one hundred items of Bathroom Furniture which can be combined to create stunning, excellent value suites. These products are available in both contemporary and traditional designs, and we have worked hard to secure excellent discounts across the range. Regardless of whether you are completely renovating your bathroom, or just giving it a mid-life refresh - these Kartell Bathroom Suites will be perfect for your home. As always, if you have any questions - please do just get in touch and we will be more than happy to answer any questions you may have. The Shower Enclosure is an important feature in any bathroom, adding a dimension of style into the bathroom - most importantly, they keep the water from your shower - where it should be! Kartell have designed and manufactured a range of Shower Enclosures which work brilliantly in any style, and size bathroom. As part of their bathroom collection, Kartell have designed and manufactured a range of Showers which work perfectly with their wider bathroom suites. As always from Kartell, this range is incredibly broad and includes the perfect shower for every type of bathroom. The range of showers from Kartell encompasses everything from concealed showers, to exposed showers - in a range of contemporary and traditional styles. As always, if you have any questions about choosing the right shower for your home - please do get in touch and we will be happy to help. Kartell UK is one of the biggest powerhouses in European Bathroom Furniture & Suites, supplying everything needed to create a dream bathroom, we are proud to stock thousands of products from the group. All of the products offered by Kartell have been expertly designed and manufactured, and come with lengthy guarantees. One of our best selling ranges from Kartell, is their collection of Baths. Available in contemporary and traditional styles, there’s the perfect bath for every style of bathroom. Some of our best sellers within the range include Kartell Freestanding baths - which are at the luxury end of the collection, with budget baths within the range costing from as little as £140. If you have any questions about this range of baths, please do just get in touch and we will be more than happy to answer any questions you may have. Kartell UK have deservedly built up an excellent reputation for supplying excellent quality bathroom suites, towel rails and radiators into the UK marketplace. At Designer Bathroom Store, we have thousands of Kartell UK products in stock, which cover everything a bathroom needs for a complete makeover. There’s everything from Designer Radiators to Baths and Showers. Having built up an excellent relationship with Kartell, we have also discounted these products heavily. Browse the full range, and if you have any questions - then please do not hesitate to get in touch.